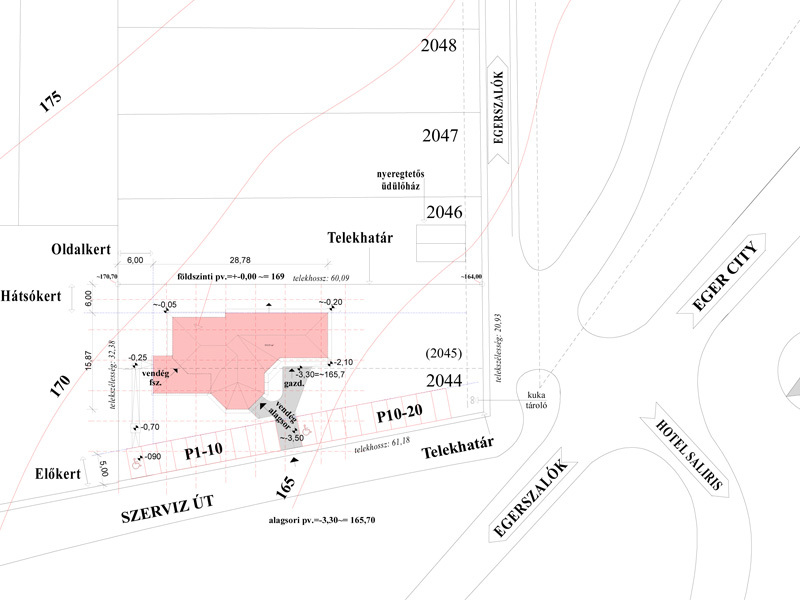 An investment opportunity is for sale with planning consent in Egerszalok, close to Eger. 1601 m2 land is for sale complete with planning permission for the following building. The building totals approximately 960m2 over 3 floors and was designed as a pub/restaurant/nightclub since it is next to the hugely popular Saliris spa hotel. 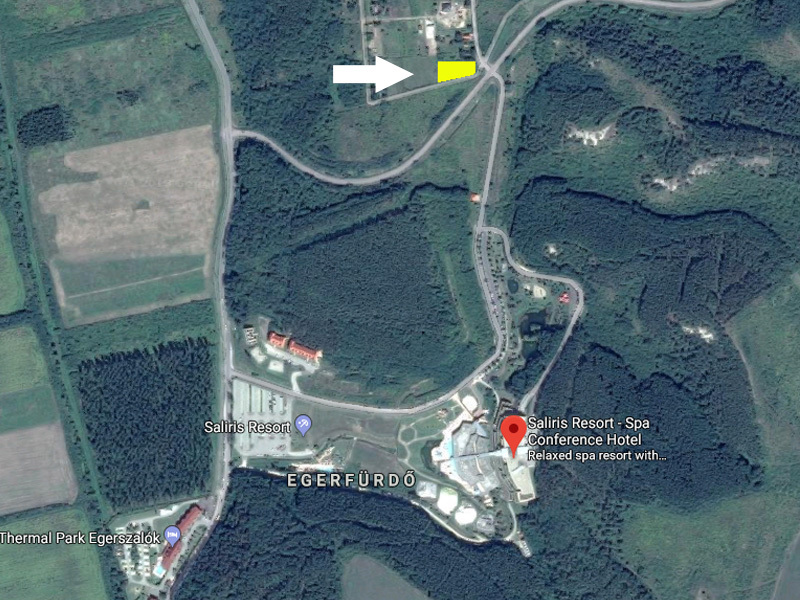 It is ideally placed to cater to visitors to the area who want to visit the spa and Eger itself which is only 6km away via the new “K2” link road. Sell part interest in the land and the current owner will stay in with the new buyer. Sell the completed building – The owner will be happy to undertake the construction work once a price is agreed and a sale contract has been signed. Lease the completed building for a minimum 20 years on a commercial lease – upon signature of a suitable lease the current owner will commence construction (est. 12 months max build time). The current owner would prefer not to sell only the land but to stay involved with the construction of the project.